I listened to this as an audiobook. Narrated by Malcolm Hillgartner the unabridged book is a glorious 38 hours and 34 minutes. I have read many of Neal Stephenson’s books and have liked them all, a few of them I have really loved, and this is one of the best. The story is full of characters, but the time is taken with each one in turn to make them memorable and to draw you into their lives. By then end of the book I cared about the fate of each and every one of them. But this is not some slow moving drama, it is a rip-roaring fast paced action adventure that takes you around the world. 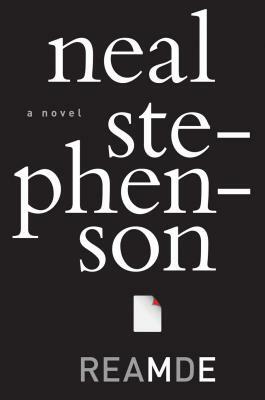 Neal Stephenson, author of the #1 New York Times bestseller Anathem, returns to the terrain of his groundbreaking novels Snow Crash, The Diamond Age, and Cryptonomicon to deliver a high-intensity, highstakes, action-packed adventure thriller in which a tech entrepreneur gets caught in the very real crossfire of his own online war game. In 1972, Richard Forthrast, the black sheep of an Iowa farming clan, fled to the mountains of British Columbia to avoid the draft. A skilled hunting guide, he eventually amassed a fortune by smuggling marijuana across the border between Canada and Idaho. As the years passed, Richard went straight and returned to the States after the U.S. government granted amnesty to draft dodgers. He parlayed his wealth into an empire and developed a remote resort in which he lives. He also created T’Rain, a multibillion-dollar, massively multiplayer online roleplaying game with millions of fans around the world. But T’Rain’s success has also made it a target. Hackers have struck gold by unleashing REAMDE, a virus that encrypts all of a player’s electronic files and holds them for ransom. They have also unwittingly triggered a deadly war beyond the boundaries of the game’s virtual universe—and Richard is at ground zero. Racing around the globe from the Pacific Northwest to China to the wilds of northern Idaho and points in between, Reamde is a swift-paced thriller that traverses worlds virtual and real. Filled with unexpected twists and turns in which unforgettable villains and unlikely heroes face off in a battle for survival, it is a brilliant refraction of the twenty-first century, from the global war on terror to social media, computer hackers to mobsters, entrepreneurs to religious fundamentalists. Above all, Reamde is an enthralling human story—an entertaining and epic page—turner from the extraordinary Neal Stephenson. I rate this book a 10 out of 10. I highly recommend it for any fan of action, cyberpunk, or thriller genres. I bought the entire Galactic Midway series many years ago to read on my PalmPilot. This is probably my 5th time reading them. Sideshow is the first book in a series of 4 novels following a most unusual carnival. Carny owner Thaddeus Flint kidnaps a rival carnival’ freak show, only to learn that the “freaks” are alien tourists visiting Earth in the one disguise they thought was safe from discovery. As they fall sick and go into fits of depression, Flint must work to keep them healthy and on display, which leads to a most unlilkely bond between captor and captives. I rate this book a 7 out of 10 by itself and the “Tales of the Galactic Midway” series as whole a 9 out of 10.